Phil Knutsen started Founding Fathers Products with the mission to support American military families at a heroic level at a time when they are in great need. The Founding Fathers brand represents a commitment to the values and ideals that keep America strong! 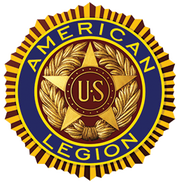 The American Legion is committed to mentoring youth and sponsorship of wholesome programs in our communities, advocating patriotism and honor, promoting strong national security, and continued devotion to our fellow service members and veterans. Freedom isn't Free. The mission of Folds of Honor is singular and focused: Provide educational scholarships to the children and spouses of fallen or disabled American military — the heroes who stand guard over our freedom. Our motto says it best: We will leave no family behind on the field of battle.